Sandy here with you today. Last week I showed you the cover of an A2 Album that I am working on. This is the first inside page of my album. I began with another beautiful French Oval Frame for my image, which I embossed with Victorian Bronze Enamel. I added a Butterfly Accent colored with Copper 3D Stamp Paint. 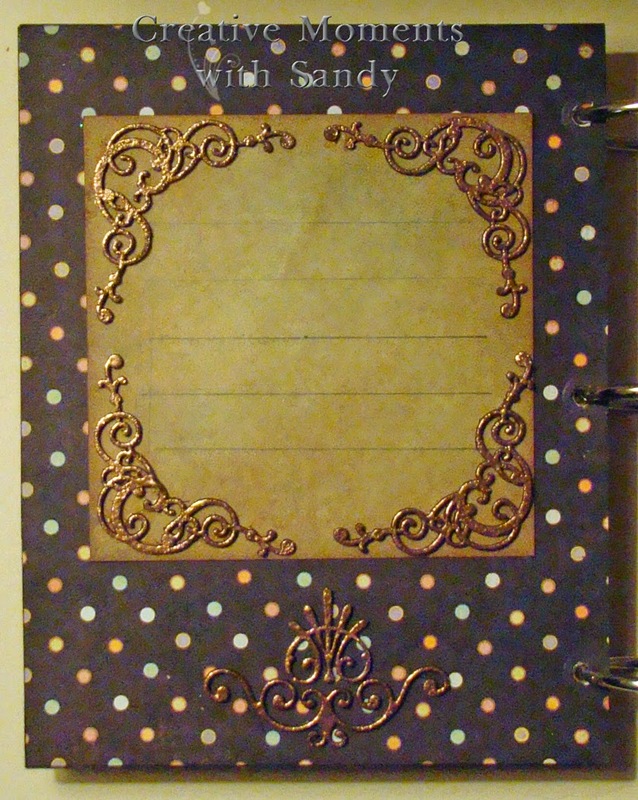 I stamped a couple of embellishments with my new Sweet Stamps Creative Corners Set 5. 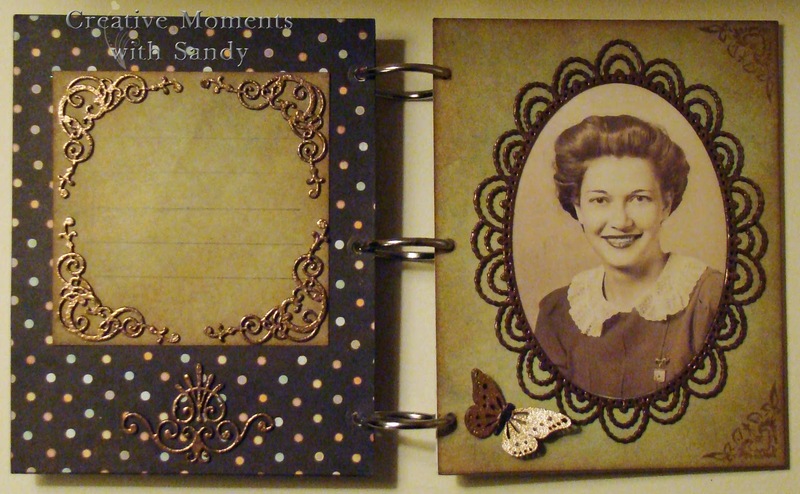 For the left side, I created a journaling square framing it with Vintage Corner Flourishes embossed with Victorian Bronze Enamel. I added a few more accents below from the Steampunk Airship Accents set, also embossed with Victorian Bronze. I love the elegance of the French Oval Frame. I think it is perfect for this vintage image. This is my first attempt at an album like this and hopefully I can get less structured in the coming pages, lol. 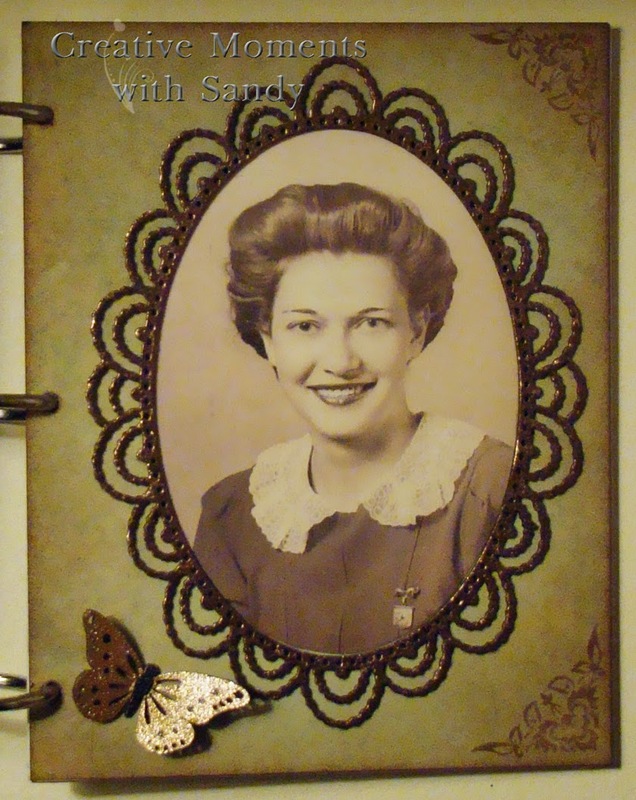 Awesome, love the vintage look and the way the stamped corners look with the oval frame.